When I talk about engagement, I often recommend the book Drive: The Surprising Truth about What Motivates Us by Daniel Pink. It’s a great read, explaining why people are more motivated by autonomy, the ability to seek mastery, and the desire to have purpose, than they are by traditional incentive systems. It’s one of those books that is not about homeschooling but is somehow still about homeschooling. Or maybe more generally — about our society’s general approach to education and how we frequently ignore what research tells us about how people become engaged and learn. If you’re interested in stimulating engagement in your family, another resource for learning about Pink’s ideas is his TED Talk (above), “The Puzzle of Motivation.” He covers a lot of the same material in the talk that he writes about in a bit greater detail in his book, and you can get a good understanding of why you may want to re-think knee jerk approaches to “motivating” your children. Both the book and the TED Talk are aimed at a business audience, but the lessons are there for educators, including homeschoolers. 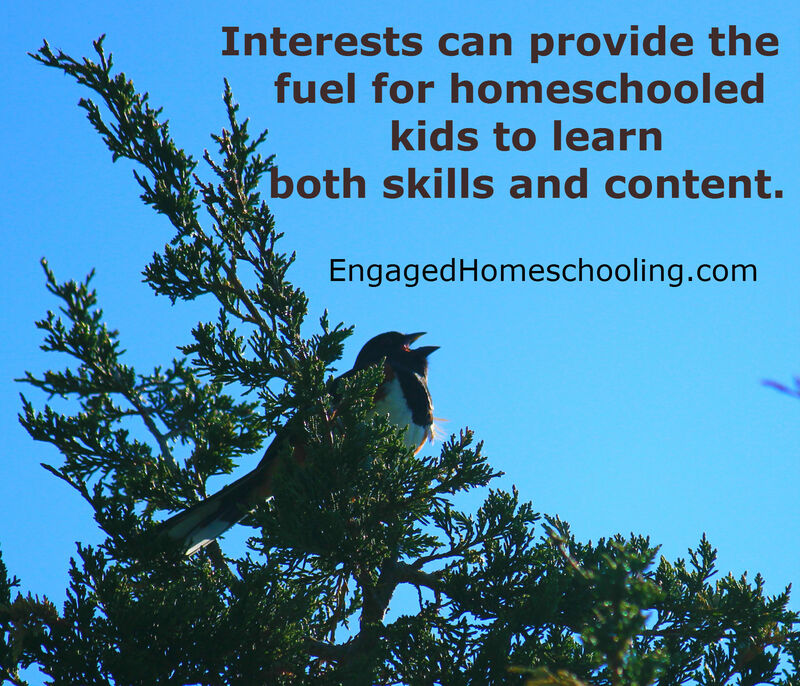 You’ll see over in my Tools of Engagement page, that I list Pink’s motivators as among the things that can be used to help develop engagement in homeschooling families. Maximizing autonomy, providing opportunities for kids to gain mastery, and helping them find or feel a sense of purpose, are hallmarks of facilitating for engagement. This entry was posted in Engaged learning on April 3, 2014 by Jeanne Faulconer. 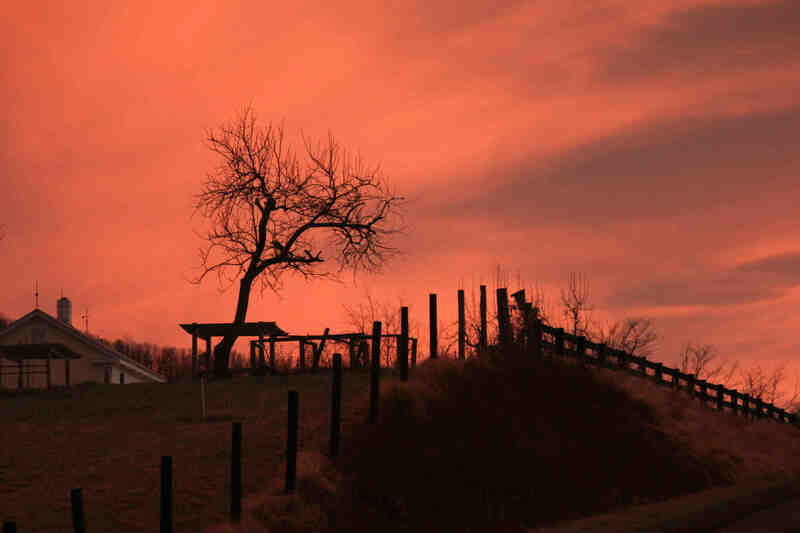 Copyright © 2013 Gallup, Inc. All rights reserved. The content is used by Engaged Homeschooling/Jeanne Faulconer with permission; however, Gallup retains all rights of republication. The Gallup Student Poll surveyed nearly 500,000 students in grades five through 12 from more than 1,700 public schools in 37 states in 2012. We found that nearly eight in 10 elementary students who participated in the poll are engaged with school. By middle school that falls to about six in 10 students. And by high school, only four in 10 students qualify as engaged. 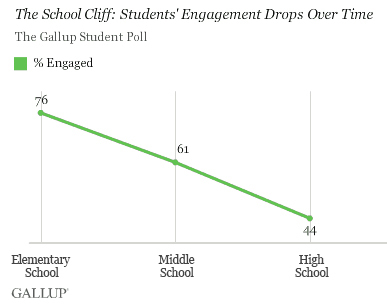 (Read more at the Gallup blog post about student engagement). Gallup concludes that an over-reliance on standardized testing, the neutralization of students’ entrepreneurial tendencies, little “experiential” and “project-based” learning, and the “lack of pathways” for non-college-bound students are among the reasons for the steady drop in engagement of students over the years. This entry was posted in Engaged learning on March 24, 2014 by Jeanne Faulconer.